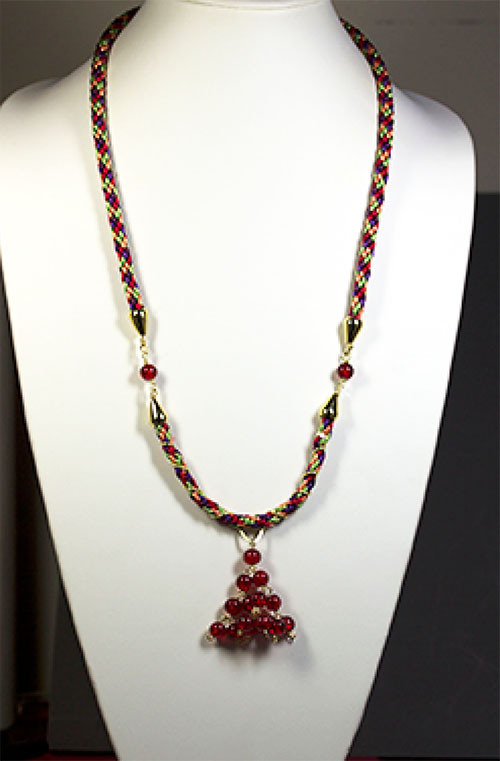 sing wireworking and Kumihimo techniques, this pattern will give you a very distinctive necklace. Not particularly for beginners, but certainly written for them to try, basic knowledge of Kumihimo and wireworking is beneficial. The necklace is approximately 24" long before the pendant is added. Instructions include several diagrams and detailed how-to's.